Featuring the Joshua contoured back chair, our Elegant Contour Series provides comfort and a touch of luxury at affordable prices. 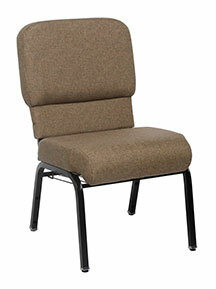 Give your congregation the best in church seating with ChurchPlaza’s Elegant Contour Series. Featuring a contoured back for support, elegant fabrics treated to resist stains, and a light weight for easy stacking, you receive a truly high-end chair for a reasonable price. For more features and detailed specifications, view our Joshua chair. When you’re ready to purchase, be sure to contact us for a free sample!